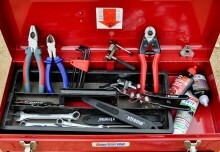 When out on a ride alone, braking, or deciding to stop by the side of the road is a fairly safe operation. With a group of riders behind you, that isn’t the case. Don’t make sudden movements, and if you are going to stop, slow down, move out or into the group, use a hand gesture and your voice as highlighted below. Unless otherwise agreed, overtake on the right hand side, ideally kindly saying: “on your right”, jus so everyone knows what’s happening. It is important never to ‘overlap a wheel’. This is when you ride behind and slightly to the side of someone else. If they brake or move out, you’ve got problems. Either stay behind, or overtake. 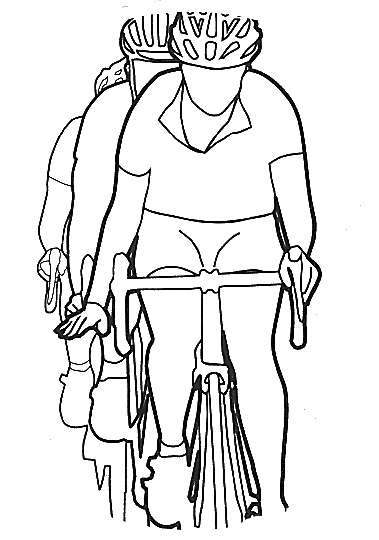 If you’re new to group riding, aim to leave at least half a bike length between you and the person in front. Once you are comfortable in a group, you can reduce the distance between you and the person in front to get a better benefit from drafting. It is important not to let an overly large gap develop; other riders may see this as a danger of ‘dropping off’ the main group and will overtake to fill the gap. 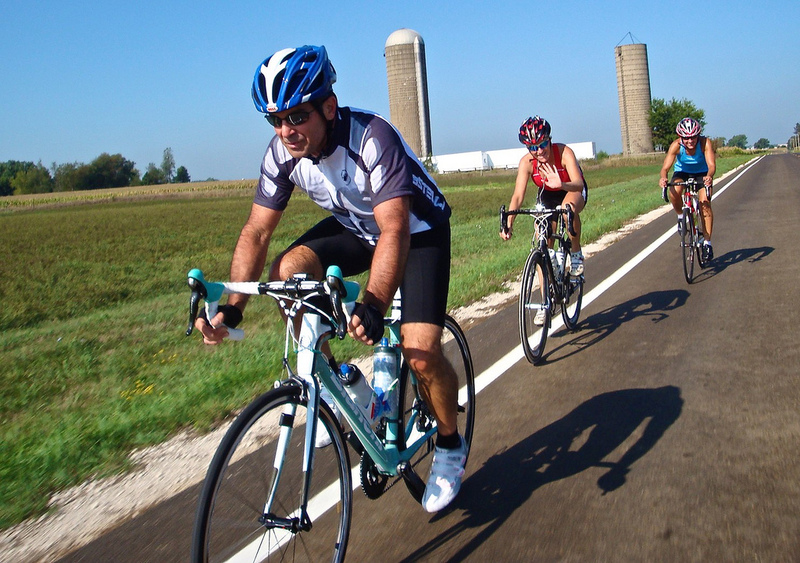 Follow the example of other riders to establish what is considered a good distance in your group, but don’t push yourself out of your comfort zone to ride too close. In conditions where stopping distance is reduced, leave more distance. 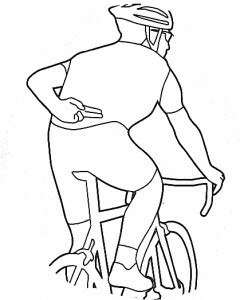 For example, when descending, allow room for the rider in front to brake without danger of you being unable to swerve. You won’t benefit so much from being ‘on a wheel’ going downhill, anyway. When it’s wet, it is also a good idea to leave more room. 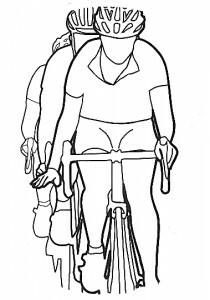 If you are riding in an organised formation, it will be expected that everyone takes a turn on the front. If the group is much stronger than you, agree to take short turns. If you feel much stronger than them, don’t accelerate every time you have the chance, it will ruin the rhythm – just accept the slower pace and find a faster ride next time. Hand waving up and down at waist level – This is similar to the above, but this means slowing for a junction or other obstruction, as opposed to coming to a dead stop. Be ready to stop if need be. 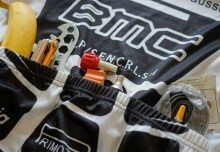 Hand up in the air – In a race, this means ‘I’ve got a puncture, and need to get out the peloton or stop. On a group ride, it means stopping too, usually for a junction. 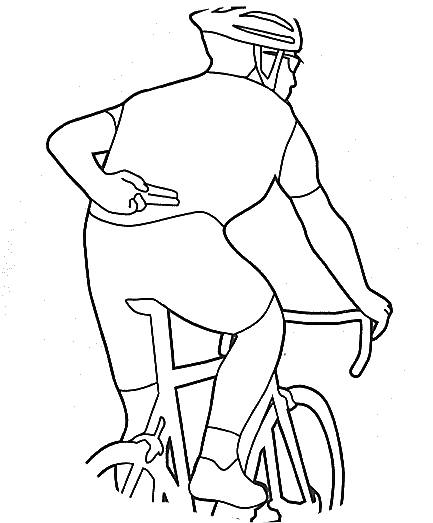 The front riders will start to brake, and you should do so when it’s safe. 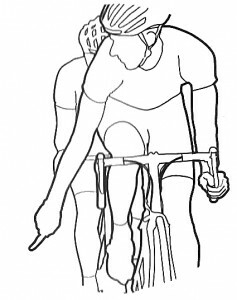 Looking behind, and pointing to the ground on the left hand side after overtaking – The rider has overtaken on the right and is now ready to take a spot in the group. Adjust your riding to let them in. 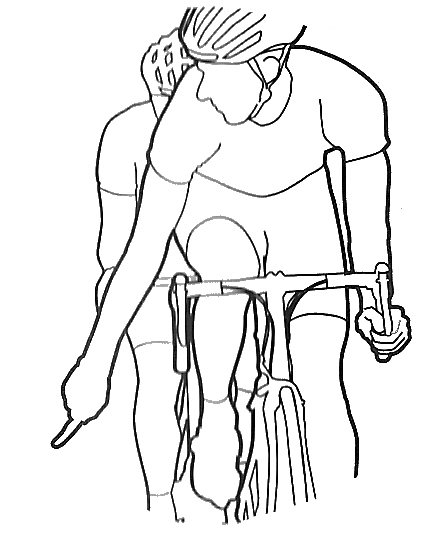 If you want back in after overtaking, this is the procedure to adopt. Pointing at the floor – Usually accompanied by HOLE – this means there is a pot hole. If the pot hole is spotted too late for hand indication, you may only hear the shout. Make sure you indicate and/or shout too, to warn riders behind. Hand pointing at the ground, with a wave – Usually accompanied by GRAVEL – this means there is gravel. Again, if the rider sees it too late, they may just shout – be sure to pass the warning back. 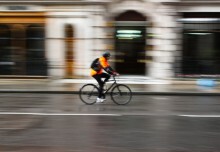 Hand pointing behind the back, outwards – Sometimes the rider will shout ‘Out’ – this means they are moving out to go round a parked car. 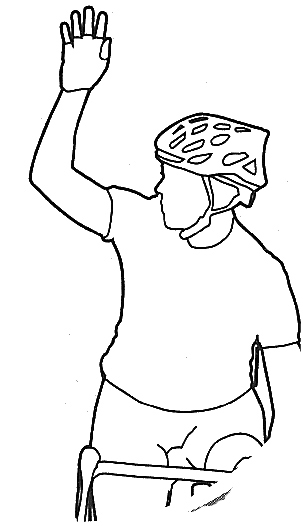 You should gesture in the same way for riders behind, check no one is on your right, and move out. 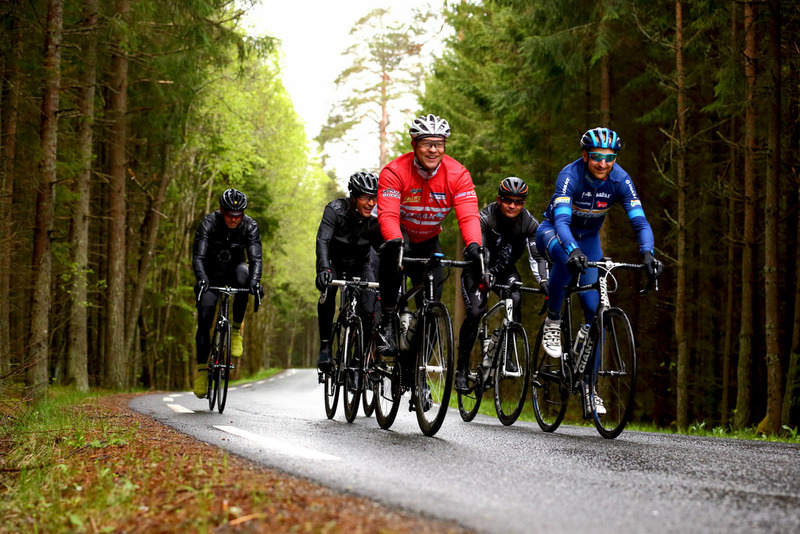 Group riding is great fun and can do wonders for your average speed – so enjoy! 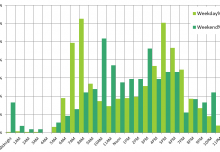 Cyclist Risk Profile – When?